The Chinese handset company OnePlus has been bringing a refreshed model every year with the “T” moniker and this year too, they are back again with the new OnePlus 6T- the refreshed OnePlus 6T. OnePlus 6T comes with some new changes with it over the previous OnePlus 6 (Review) like smaller notch, in-display fingerprint scanner, bigger battery, larger screen size, Android 9.0 Pie out-of-the-box, and better low-light photography. However, the brand has omitted the 3.5mm headphone jack and the users will have to either use USB Type-C headphones or Bluetooth ones. 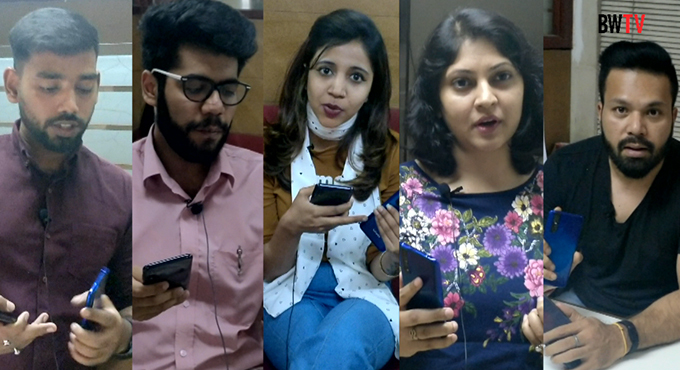 We have been using the OnePlus 6T for quite some time now and this is what we think about this handset. 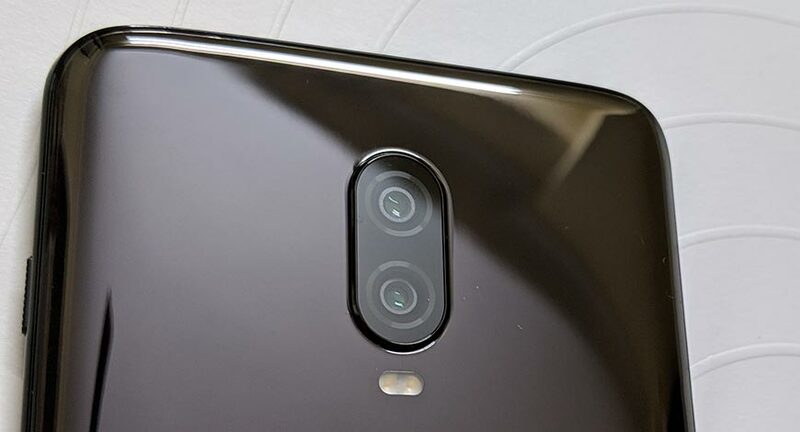 The biggest change you’ll notice after holding the OnePlus 6T is its smaller waterdrop notch, similar to Oppo F9 Pro and Vivo V11 Pro, which might be a relief for all of the notch haters out there because that notch is really tiny. The 6.41-inch FHD+ (2340x1080) optic AMOLED display is also the biggest display on any OnePlus phone ever. But, thanks to the 85.6 percent screen-to-body-ratio, this phone doesn’t feel bulky in hands while holding. The screen is vibrant, sharp, has great viewing angles and a good amount of brightness to use under direct sunlight. The full HD+ screen resolution remains the same as its predecessor and you shouldn’t worry about it as the difference between full HD and Quad HD displays on smartphones is hardly unnoticeable. OnePlus offers options to switch between night mode and reading mode which turns the display into a monochrome screen like Amazon Kindle. You can change screen calibration which includes sRGB and DCI-P3 which have colour accuracy and display wide-range of colours. There is also an option to set the colour temperature of the display which you can tune according to your liking. The handset’s frame is made of metal but both front and back are glass. The backside of the phone attracts smudges as much as Mawsynram attracts rain but OnePlus ships the OnePlus 6T with a protective cover. Talking about the accessories, this phone comes with a USB-C to 3.5mm headphone jack, why? OnePlus removed the traditional 3.5mm headphone-jack to make way for the new in-display fingerprint sensor. Yes, the rear-mounted physical fingerprint scanner is also gone and the new fingerprint sensor sits underneath the lower part of the display. 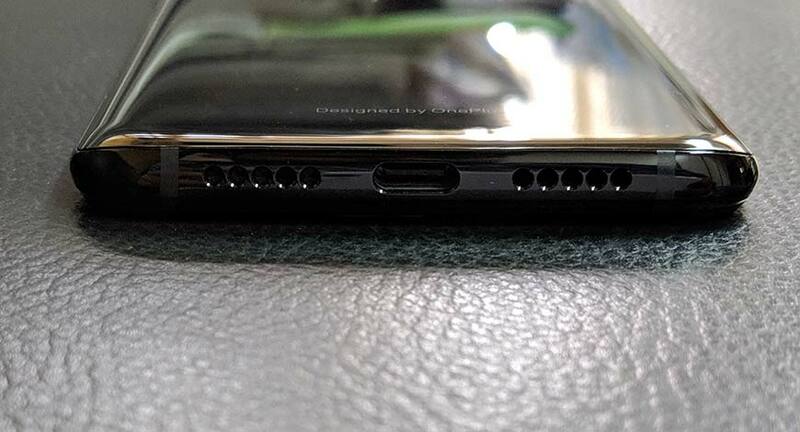 During the launch of OnePlus 6, the company was boasting the fact that they still offer traditional headphone-jack and now within six months, they themselves removed it. This time too OnePlus didn’t include wireless charging despite handset’s glass body but that shouldn’t be an issue for many due to not being overly attached to that tech. Also, it is still not IP rated water and dust resistant but the company claims the handset can withstand accidental water splashes. The back of the phone looks really neat which just has the dual camera setup and OnePlus branding. The right side of the phone has a power button and toggle button for silent/ring/vibrate, while the left side has volume rockers and dual-SIM tray. The bottom has speaker and USB-C port for charging and also for headphones. The new OnePlus 6T measures 157.5 x 74.8 x 8.2mm and weighs 185 grams. Similar to the previous OnePlus 6, this handset also gets a Qualcomm Snapdragon 845 processor coupled with Adreno 630 GPU and 6GB/8GB of RAM. It comes with two internal storage options of 128GB and 256GB without an option of expandable storage. 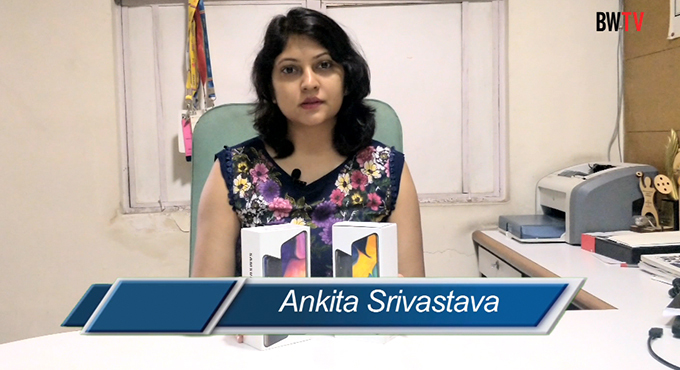 This time, there is no 64GB storage and the base variant comes with 128GB storage. Multitasking, switching between apps or playing games, everything works smoothly without lagging; it seems like OnePlus is getting better in performance with every the launch of every new phone. On Geekbench, OnePlus 6T achieved a single-core score of 2,405 and multi-core score of 9,069. AnTuTu gave it a score of 2,98,107. Another improvement in the OnePlus 6T is its bigger 3,700mAh battery with fast charging, which according to OnePlus increases battery life by 20 percent. This phone is a beast when it comes to battery backup. Thanks, to OnePlus’ Fast Charge, this phone reached from 0 to 25 percent after 15 minutes of charging, it reached 100 percent after one and a half hour of charging. 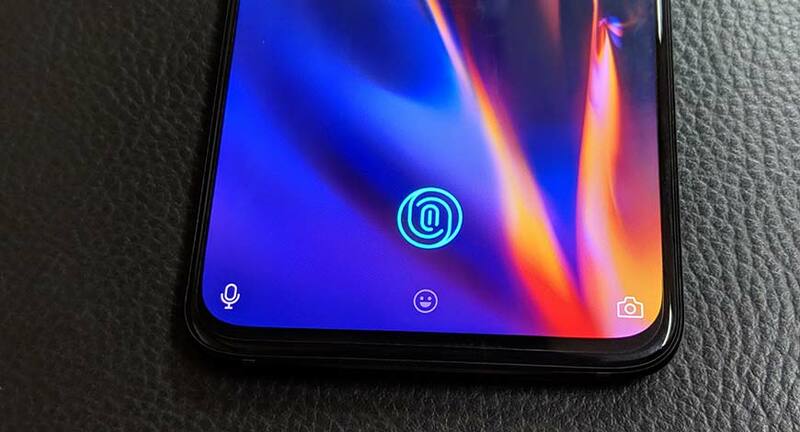 For OnePlus 6T, the company is targeting the audience with display fingerprint scanner as its USP. The new scanner is great for showing off but users habitual of standard fingerprint scanners, especially those who have used OnePlus phones earlier, won’t find the newer one better. It is not as snappy as the standard ones also its success rate isn’t great either which means users who unlock their phone hundreds time a day will get irritated at some point in time. 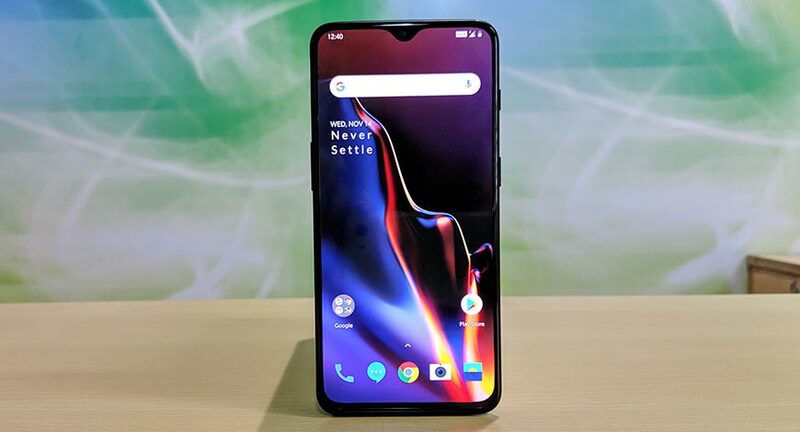 However, this technology used by OnePlus is better than previous gen phones like Vivo X21. We hope that fingerprint scanner will get better over the course of time with software updates. Just above the phone’s bottom, there is a logo which guides you to where to place your thumb/finger. The green colour logo is not always active, when its active only then you can place your finger to unlock the phone. The fingerprint sensor becomes active when you lift the phone, tap on the screen or press power button. If you aren’t pleased with the new fingerprint scanner, facial recognition is still present and it unlocks the phone real quick. Connectivity options include Wi-Fi 802.11 a/b/g/n/ac, Bluetooth 5.0, NFC, and Location. The new OnePlus 6T runs on OxygenOS based on Android 9.0 Pie. OxygenOS is one of the best Android skins ever which offer near stock Android experience without any bloatware or unnecessary pre-loaded apps. Honestly speaking, there isn’t any brand other than Google which delivers timely updates like OnePlus as promised. The new addition in OxygenOS is Smart Boost which improves apps’ cold start speed by up to 20 percent by storing data from apps you mostly use in the handset’s RAM. Smart Boost is applied to selective gaming apps with improvements planned in the future. Smart Boost is a smart move from OnePlus to utilize the abundant 6GB and 8GB RAM in OnePlus 6T. There is Gaming Mode which can block calls, notifications and alarms. There is also an option to limit network usage of other apps where network data is redirected to gaming apps. 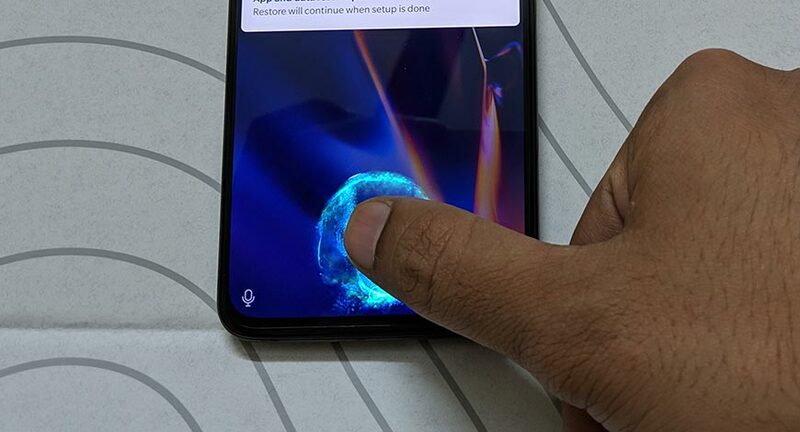 One of the good features which comes in OnePlus 6T including its predecessor is fluidic navigation gestures. 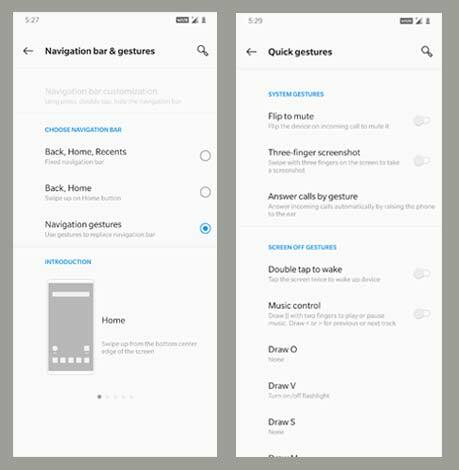 By default, the phone comes with on-screen navigation buttons which can be changed through Settings. For Home, swipe up from the bottom center edge of the screen; for recent apps, swipe up from the bottom centre edge of screen and pause; for back, swipe up from the left or right side of the bottom of the screen. A great phone is judged by its camera prowess and that’s the only jewel missing in OnePlus’ crown of becoming a true flagship. The OnePlus 6T’s camera isn’t bad at all but being a ‘flagship’ phone, it has to be compared with others and when compared with the likes of Pixel 3 (Review) or iPhone XS (Review), this phone’s camera isn’t as great as other flagships. But don’t forget the price difference between OnePlus 6T and these phones. OnePlus 6T sports a dual rear camera setup which includes 16-MP primary sensor (f/1.7 aperture, OIS+EIS, PDAF, 1.22 µm pixel size) and 20-MP secondary sensor (f/1.7 aperture, PDAF, 1.0 µm pixel size) with AI scene detection, Portrait mode, HDR, and Studio Lighting. 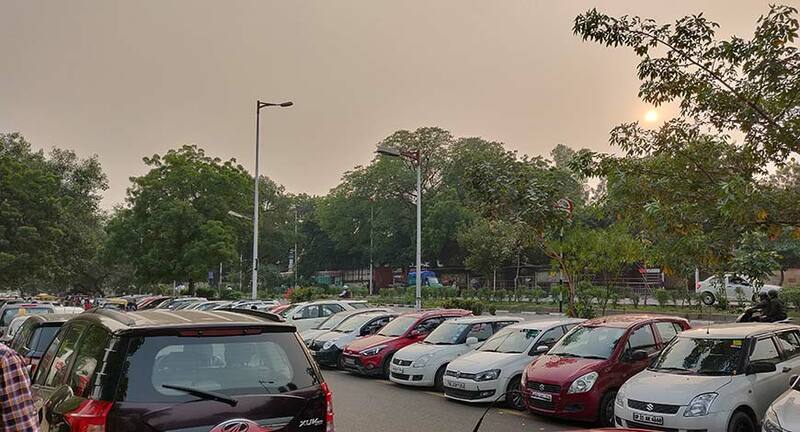 The pictures clicked from this handset during daytime turned out amazing and there is nothing you can complain about it. 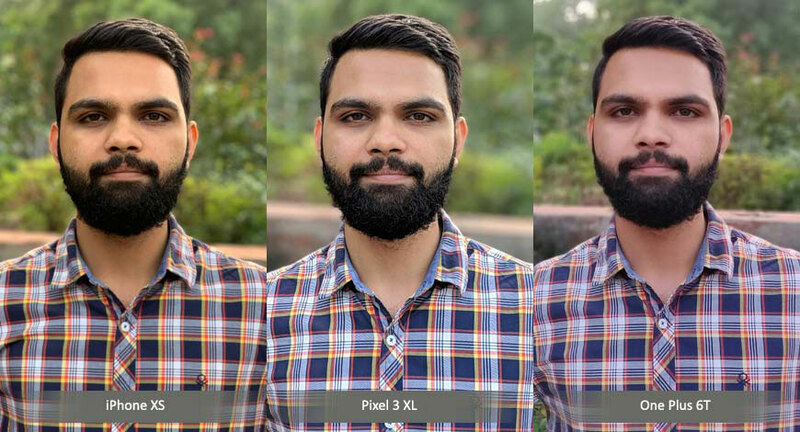 Portrait mode of the OnePlus 6T will also deliver fine results. For selfies, there is a 16-MP camera on the front with f/2.0 aperture, EIS, Portrait mode, screen flash, studio lighting, and HDR. 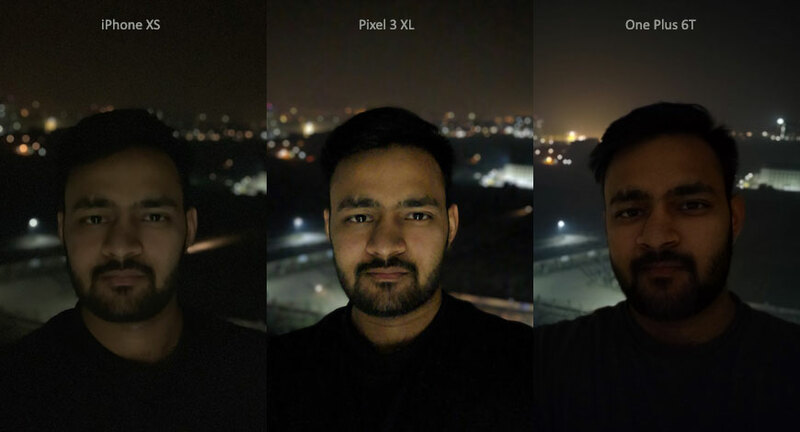 OnePlus 6T’s camera hardware is the same as its predecessor, what’s new is some software improvements including Nightscape mode for better shots in low-light. In this new Night Mode, the camera shutter opens for a longer duration to take multiple shots and combining them to increase the sharpness. Nightscape is definitely good at handling highlights and offering extra detail during the night but this feature certainly does not make any noticeable difference. This year’s OnePlus ‘T’ flagship is capable of shooting 4K videos at 60fps but with a limit of five minutes. It can also record videos in super slow-motion with 1080p at 240fps and 720p at 480fps. With a price starting from Rs 37,999, OnePlus 6T is a complete package which not many brands offer in this price range. OnePlus' journey in India so far has been really smooth but recently, OnePlus handsets have also been facing competition with the likes of Asus Zenfone 5Z (Review) and Xiaomi's Poco F1 (Review). Although the new OnePlus 6T doesn’t come with gigantic updates over OnePlus 6 and the users of the same should avoid upgrading this time and instead wait for the next one. But OnePlus 5T users or anyone else looking for a great Android phone at reasonable pricing should definitely consider buying the OnePlus 6T. 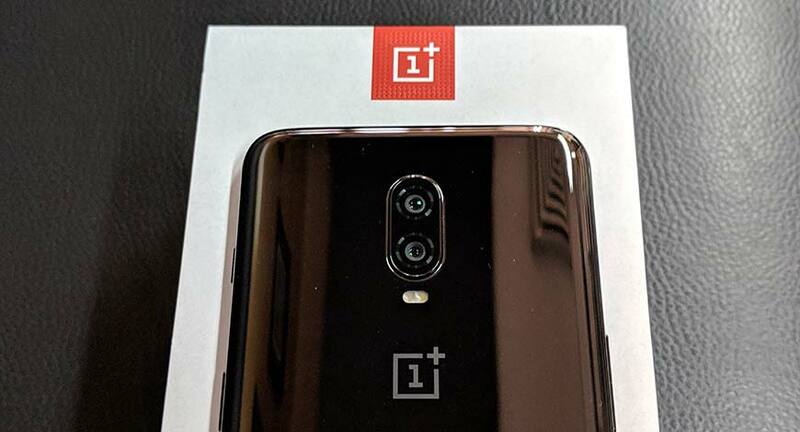 However, the brand has enforced some changes on its users like the inclusion of in-display fingerprint scanner and removal of 3.5mm headphone jack but other than that OnePlus has again made a perfect phone.